Their information was fairly detailed, but left out a few critical points. Where is this information stored on the card (track 1, 2, 3)? How is this information stored (ASCII, ALPHA, raw bits)? Here we see that Track 3 starts with EC901, just like the data the MIT students collected (shown above). This suggests that the data they collected comes from Track 3, answering my first question. Less interestingly, we see that Tracks 1 and 2 contain the same data. In fact, the data on Tracks 1 and 2 is the same on all of the 4 cards I tried so it is probably not card-specific information. So Track 3 is the most interesting one for us. The data seem to be in the same format so I’ve answered my second question: the data is stored in raw bits on the card and was converted into hexadecimal for presentation in the MIT students’ paper (pages 30 and 31). Looking at the paper, we see that the second field should be the ticket number. Converting 045CE210 into decimal gives me 73196048, which is indeed the number printed on the front of the card in the lower right-hand corner (with 00 prepended). Some interesting next steps would be to figure out the checksum computing algorithm, which is alluded to in “MBTA published checksum info in court filings“, and to determine how the time is represented in the time fields. The MIT students’ paper is linked from MIT’s newspaper article about their DEFCON talk. If you want to read magnetic stripes yourself, you can connect a magnetic stripe reader to your computer using my “USB magnetic stripe reader instructions” article or Stripe Snoop‘s Hardware page. Help and magnetic stripe reading discussion can be found in the Stripe Snoop forums. If you can wait a couple months, I will be selling a USB magnetic stripe reader based on my “USB magnetic stripe reader instructions” article. If you send me your e-mail address via my contact form, I will notify you when it’s available for sale. VERY intresting post ossguy. Did you know the checksum allready? 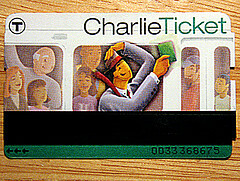 do you still have some CharlieTicket left over you could sell me so I can analyze them myself? Keep up the good work! No, I have not figured out how the checksum works yet. It’s possible someone else has, but I haven’t searched for that information in a while. If you find something, feel free to post it here. 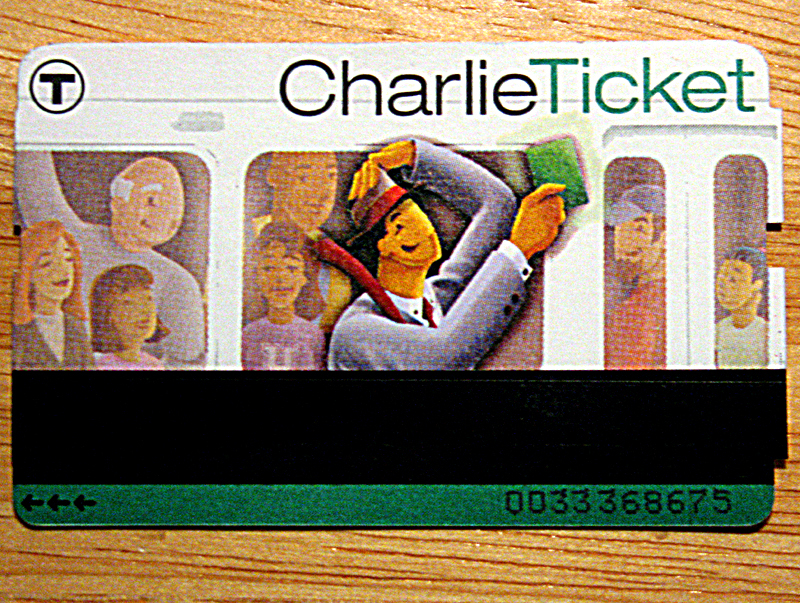 I’m not sure how having a CharlieTicket would help you with analyzing the data on it. I’ve provided all the data on the magstripes and I can’t see any other information printed or otherwise encoded on the card besides the initial value ($1.00 for each of the cards listed in my post). Is there a particular reason you want the actual cards? What kind of card writer are you using?